The largest city in northern Nigeria, Kano is an industrial and commercial hub. 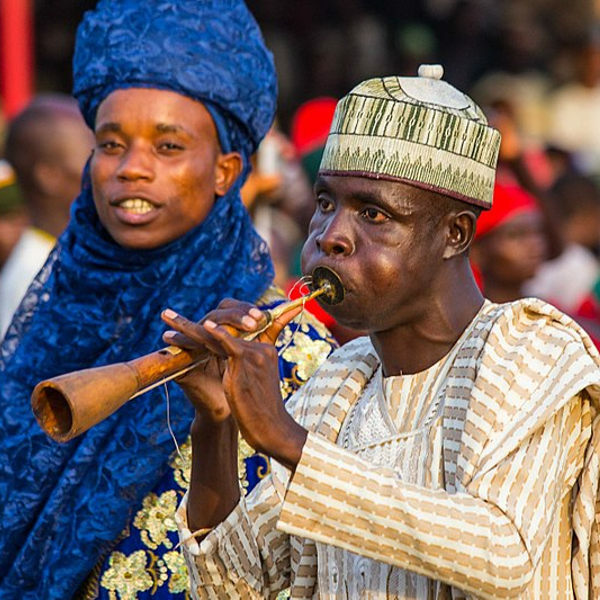 With a history dating back to the 7th century, Kano’s population of around 4 million people exude a wealth of culture and traditions. For any visitor to the city, popular tourist attractions include Emir’s Palace, Falgore Game Reserve and the Great Mosque. Cheap flights to Kano are now available for a limited time, so prepare to be swept up by the historical significance of this industrial city. Kano is home to Mallam Aminu Kano International Airport (KAN), a 30-minute drive from the city centre. Home to ancient relics and a wealth of culture, the streets of Kano are filled with history dating back to pre-colonial Africa when Hausa and Fulani communities dominated the region. Kano has managed to preserve its history, and tourists are encouraged to visit key points of interest, like Dala Hill, Emir’s Palace and the Great Mosque. From Chinese-owned bakeries to African street stalls selling traditional tapestries and pottery, you can experience a mixture of food and cultures throughout the city’s marketplaces. 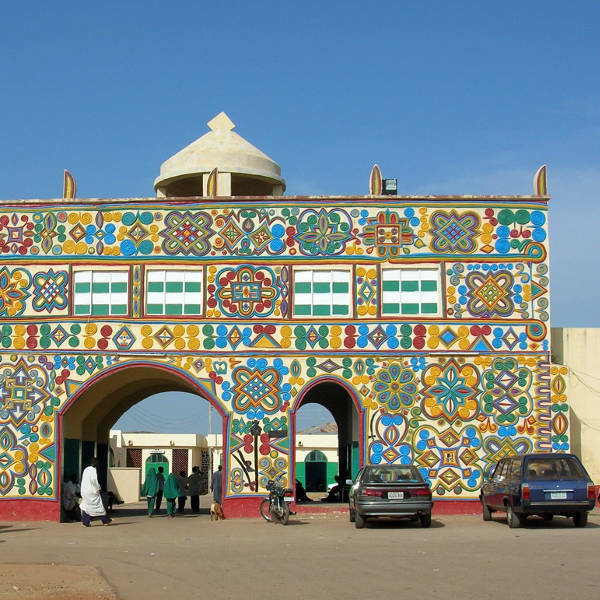 Kano experiences warm to hot temperatures throughout the year, so anytime you visit will require sunscreen and a hat. The hottest season is spring, between March and May. Kano experiences a slightly cooler summer between June and August. Expect a spike in tourists during both seasons, so be sure to book flights and accommodation well in advance. Don’t miss the ceremonious Durbar festival marking the end of Eid. Remember to pack in an umbrella for those rain showers! 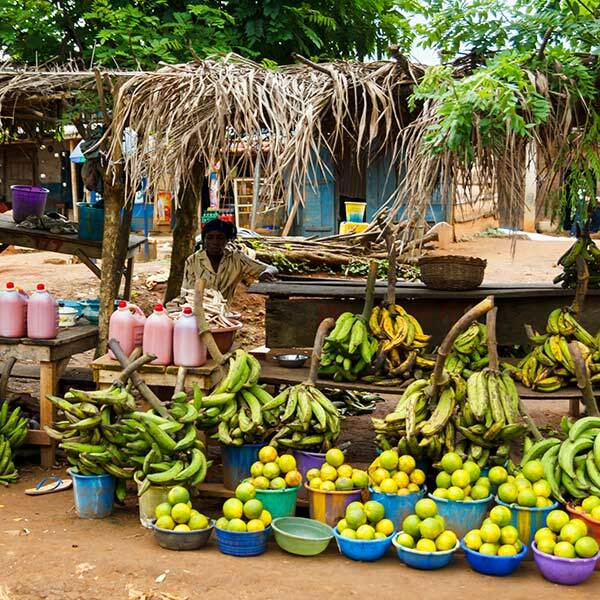 Autumn through to winter (September to February) are considered low seasons in Kano, and with fewer tourists, you can expect to pay lower prices all round. Don’t be fooled by the cooler months, though average ‘winter’ temperatures sit at around 32°C with hardly any rain! If you’re looking for the best time to explore the city’s attractions and cheap flights to Kano, the ideal time to visit is during winter. Once an ancient trading point with North Africa and Europe, the city of Kano is now a major commercial and industrial hub within sub-Saharan Africa. Its significant production and export of agricultural products (peanuts, cotton and skin hides) stand alongside more traditional practices of leather tanning, metalwork, tailoring and pottery production. The traditional dye pits (Kofar Matar) are a must-see for any visitor to this city. You’ll notice that the city is subdivided into hamlets (unguwa), each with its own mosque and market. While the city is not renowned for its tourist attractions, there are a few key features attesting to its history as a once colonised trading point. The Sabon Gari is a central point from where you can branch out on a tour of the city. The gates to the Old City are still intact, housing the15th-century Emir’s Palace, along with the Great Mosque (Nigeria’s oldest, built in 1951) and Kurmi Market where you can barter your way through the stalls. View a collection of artefacts from the stone age, and embark on a tour of the colonial governor’s house from the 1900s, at the Kano State History Museum (Gidan Makama house). For a taste of Nigeria, the vibrant streets hum with food stalls serving up local delicacies like pate, masa, burabisco and kilishii (dried meat snack). You’ll find some great chophouses and bars in Enugu Road, within the Sabon Gari. Enjoy some fishing and boating at Tiga dam, from where you can see the famous Rock Castle hotel, specially built for Queen Elizabeth’s visit to the city in 1960. Just two hours south of the city you’ll find the Falgore Game Reserve, home to various wildlife, like leopard, jackal, spotted hyena, red-fronted gazelle and patas monkeys. Compare several airlines, and book your cheap flights to Kano online at Travelstart! Foreign travellers should feel relatively safe in the city, but always keep valuables safely hidden when walking around. The population in Kano is predominantly Muslim, so be mindful of laws and customs, and avoid wearing revealing clothing. Expect to haggle your way through the markets, and if you feel you’re being overcharged, just walk away. Always confirm prices BEFORE purchasing anything or getting into a taxi. Be aware that the city has previously been under attack by Islamic militant groups, so be cautious of where you go and take a local guide with you if possible. A comprehensive travel and health insurance is always recommended.